If there’s a book you should rush out and buy this year, this one should be at the top of your list. Mary and Frankenstein is a formidable and empathetic production, aptly celebrating the 200th anniversary of the publication of ‘Frankenstein’. 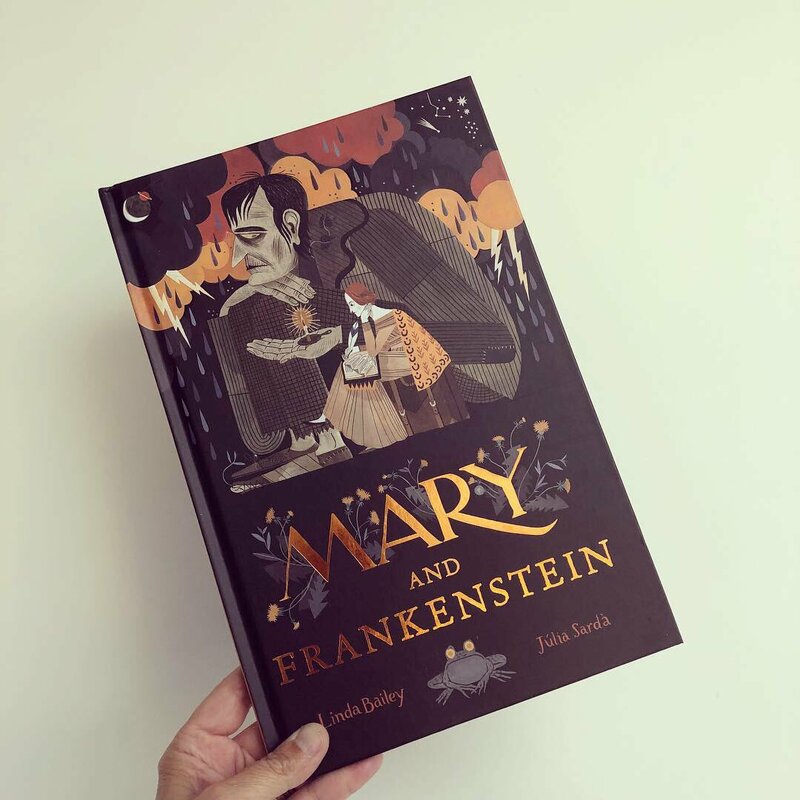 Follow the inspirational story of Mary Shelley and how she came to create one of the greatest horror stories of all time. Written succinctly and with great heart by Linda Bailey, this reinvention of Mary Shelley’s story is both an emotive and revealing read. After a troubled childhood, eighteen-year-old Mary escapes to Switzerland with the then famous poet Percy Bysse Shelley, with her step-sister in tow. Watch how her sombre yet remarkable story unravels and where her inspiration was sparked for the monstrous Frankenstein. 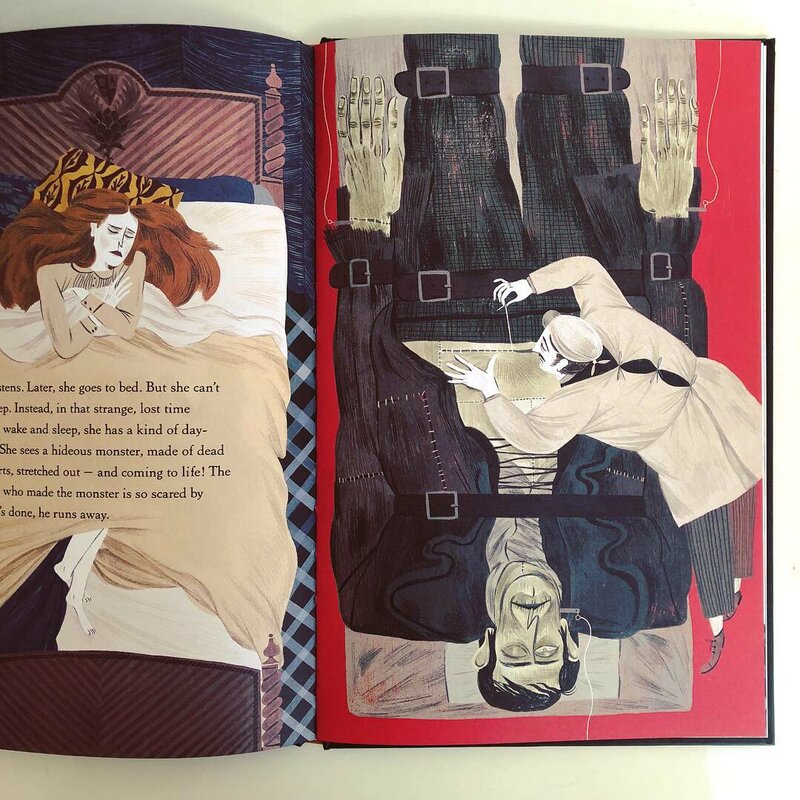 Presented with rich, dark, sobering illustrations from Júlia Sardà, Bailey’s sparse but powerful narrative is complemented by Sardà’s careful characterisation and her admirable attention to the tiniest details. Her use of texture and pattern is exquisite and with each read-through you will undoubtedly spot fresh details across the bustling spreads. 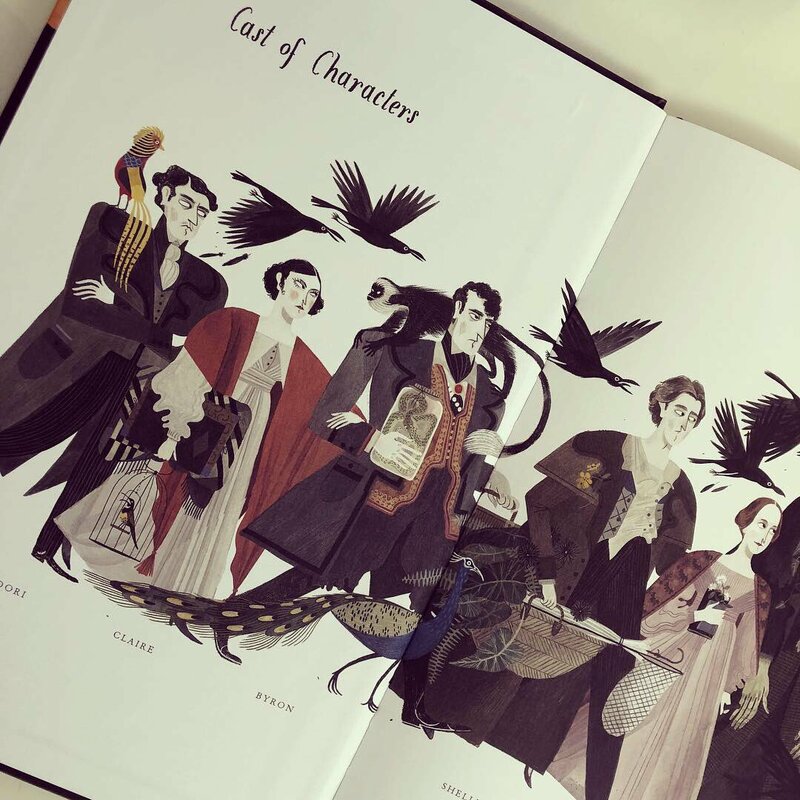 From the pictures hanging on the wall in the house beside the lake, to Shelley’s cluttered desk, there are so many intricacies that add to the perfection of this rendition. We definitely need this one. 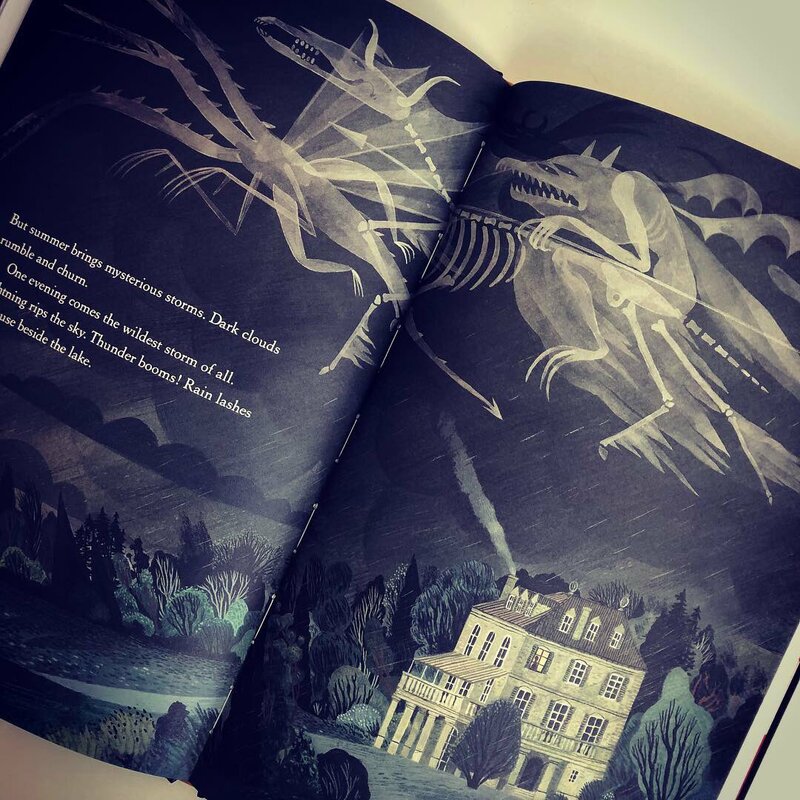 Looks beautiful, spooky atmosphere – what more could you ask for?